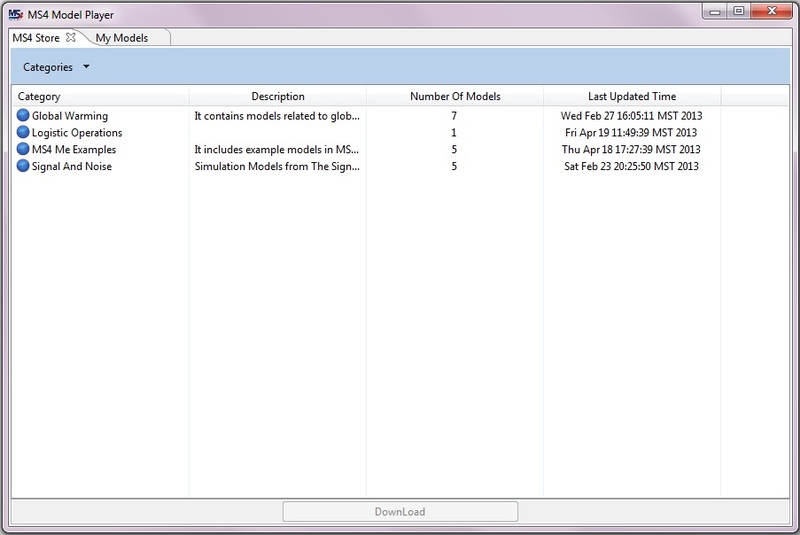 It is easy to browse and download models. 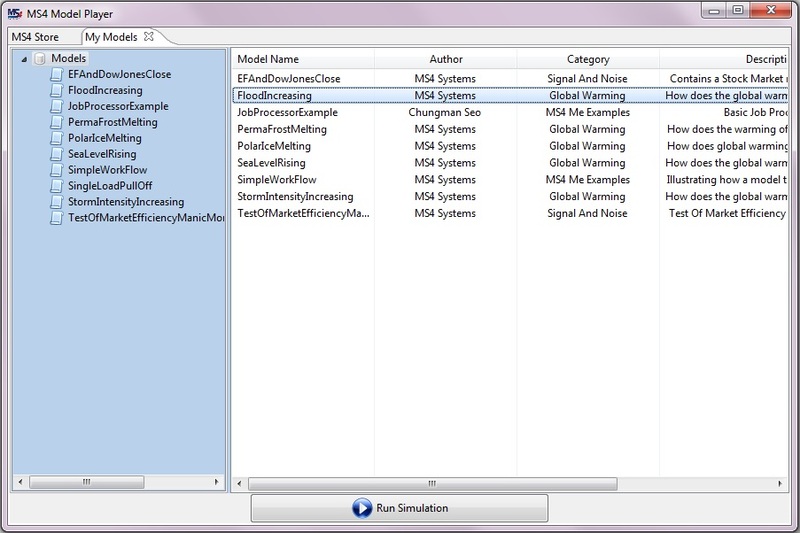 Organize your models and run simulations on your desktop. Note: Mac OS X and Linux support will be available, but there is no beta release for these platforms at this time. 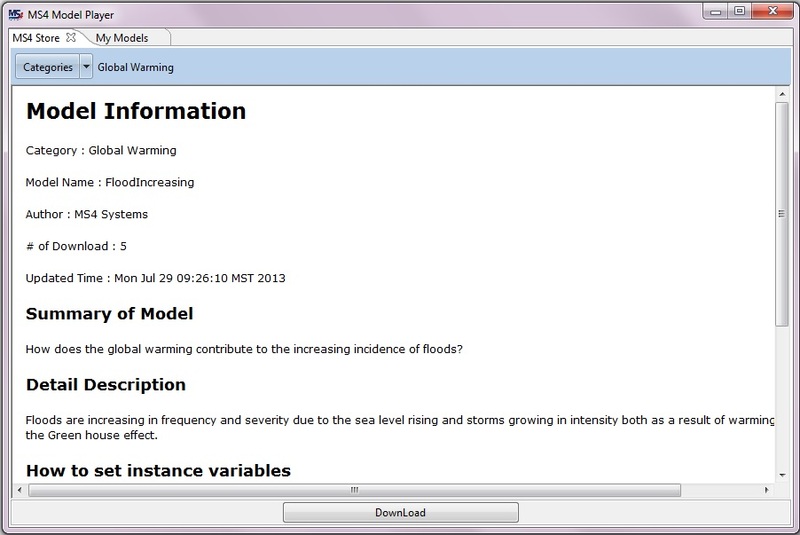 If you have any problems in installation and starting the MS4 Model Player software, please contact us at support@ms4systems.com.